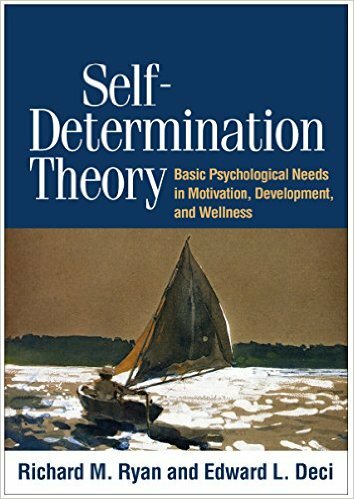 The founders of self-determination theory, Richard Ryan and Ed Deci have written a new book: Self-Determination Theory. Basic Psychological Needs in Motivation, Development, and Wellness. This book of 756 pages describes the theory, the research, and the practical applications of self-determination theory, one of the deepest, best substantiated, practical bodies of knowledge in psychology. The beginning of the book deals with the history and the theoretical backgrounds of self-determination theory. Then it focuses on each of the six mini-theories of which self-determination theory consists. Next, it describes practical applications of the theory in various contexts such as child rearing, education, psychotherapy, sports, and work. The remaining chapters discuss the implications of self-determination theory for macro-topics such as culture, politics, religion, and economy. From now on this book can be viewed as the book about self-determination theory.